JCLS is privileged to have a number of enthusiastic Friends groups. Meet them here and find out how you can become a friend. One who supports, sympathizes with, or patronizes a group, cause, or movement. 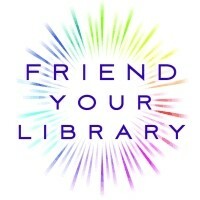 Our Friends are always looking for new members and would be delighted to have you join them as they continue to help Jackson County residents learn, connect and grow! Contact your local branch for more information, or by clicking on your library above and visiting the "Friends Group" tab of the branch page.